High Quality Flavorless Nicotine Salts Liquid 100mg for DIY. Great Value! Nicotine salts e-liquid is a rather new trend in vaping. Premium quality nicotine salts can be the perfect substitute for conventional “freebase” liquid nicotine, especially when manufacturing e-liquids with higher nicotine concentrations. It is a naturally extracted product that is considered less volatile and more stable than freebase solutions. Therefore, nicotine salt e-juice is often considered much easier to inhale than regular vape juice due to this lower volatility and increased bioavailability. The throat hit is less harsh, which means that DIY’ers and e-liquid manufacturers can crank up the nicotine concentrations of their favorite recipes without negatively affecting the associated throat hit. The finished product provides vapers with a smooth and unmuted experience and satisfy their nicotine cravings much faster, more intensity, too. Beginner vapers tend to find nicotine salts vape juice more enjoyable because the vaping experience more closely resembles that of smoking a real tobacco cigarette. Mouth-to-lung vapers and cloud chasers love nicotine salts e-liquid, too. 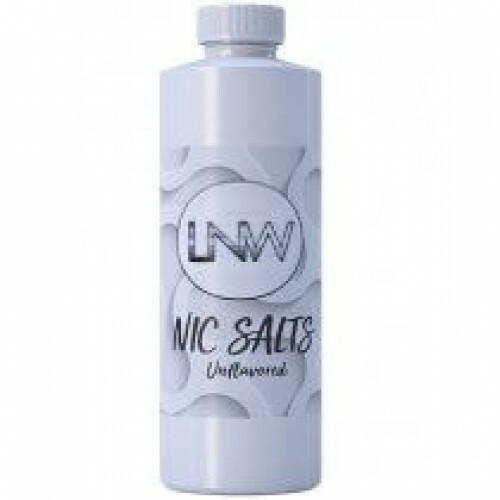 This Flavorless Nicotine Salts are clean and pure sourced from very reliable DIY nicotine liquid wholesaler, "Liquid Nicotine Wholesalers", pre-blended to precision pharmaceutical grade Propylene Glycol (PG) and/or Vegetable Glycerin solutions. They are naturally extracted and flavorless, which means that you never need to worry about possible mutations to your flavor combinations. You can enjoy a smooth, more enjoyable vaping experience without the overly harsh throat hit. They also work well with lower-powered vape mods, pod mods, and other devices. In fact, vapers should be cautious of using stronger concentrations of nicotine salts e-liquid, especially in high-powered vape devices. 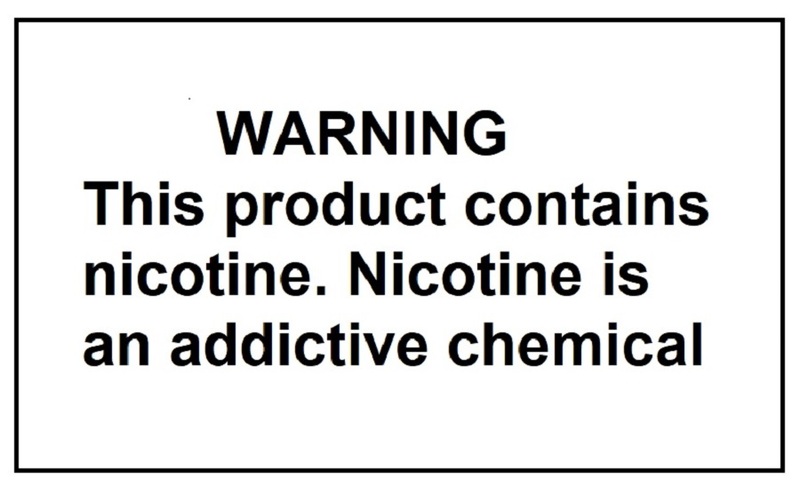 Please be aware that our 100mg nicotine salts require further dilution before use. The nicotine hit is so robust that the vaper can be easily overwhelmed until they get used to the change. So, we always recommend that vapers should start out slow, at first. We strongly recommend storing our products in a secure refrigerator, and out of reach of small children and pets. Due to manufacturing process and nicotine salt characteristic, this product may be colored more than conventional “freebase” liquid nicotine on receiving a product. It does not mean that the product is aged and old. KEEP WELL AWAY FROM CHILDREN AND PETS. E-LIQUID IS ONLY INTENDED TO BE USED WITH YOUR ELECTRONIC CIGARETTES, E-CIGS, E-CIGARS, E-PIPES OR VAPORIZERS. NOT FOR SALE TO ANYONE UNDER THE AGE OF 18 OR THE LEGAL AGE IN YOUR COUNTRY OF RESIDENCE. Nicotine, in its pure form, when taken in high enough doses can kill. FOR YOUR OWN SAFETY AND OTHERS AROUND YOU, PLEASE TAKE ALL NECESSARY PRECAUTIONS. Keep e-liquid locked up, out of reach of children and pets at all times. If you are looking for cigars like taste, this is it. The Plu..
Halo’s signature tobacco e-Liquid features a semi-sweet top note reminiscent of RY4. Halo's No.1 Sal.. Aspire Breeze 2 is ergonomic and compact, all-in-one, portable system that was specifically designed..